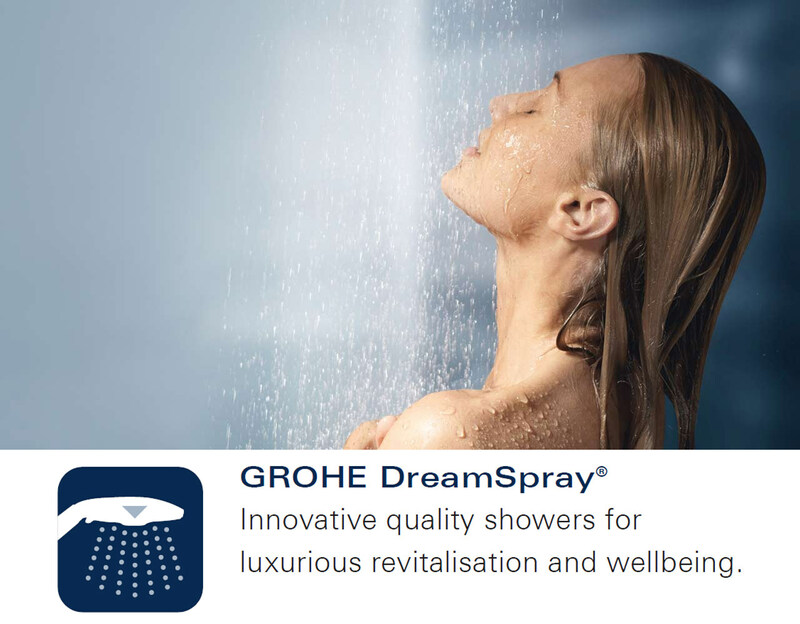 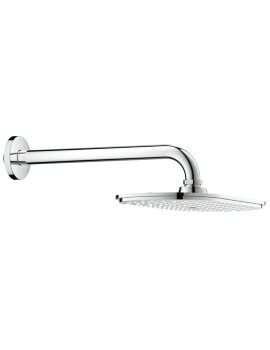 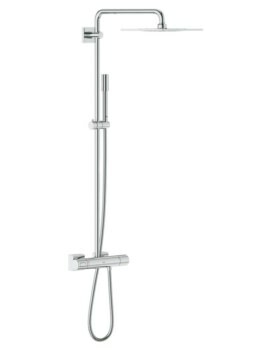 With its ceiling-mounted nature and squared-off shape, the Grohe Rainshower Allure Shower Head With Ceiling Arm is the perfect, luxurious addition to any shower space. 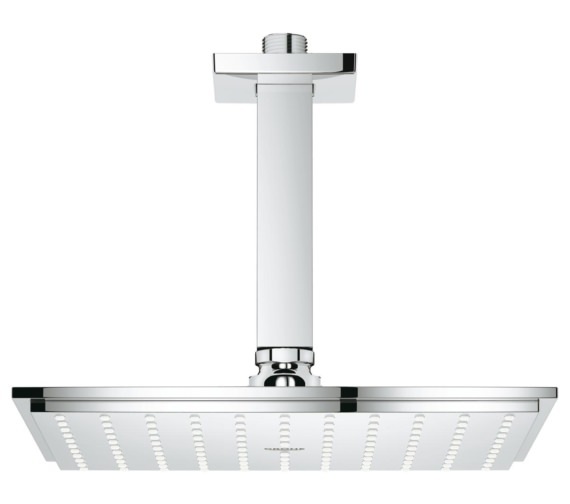 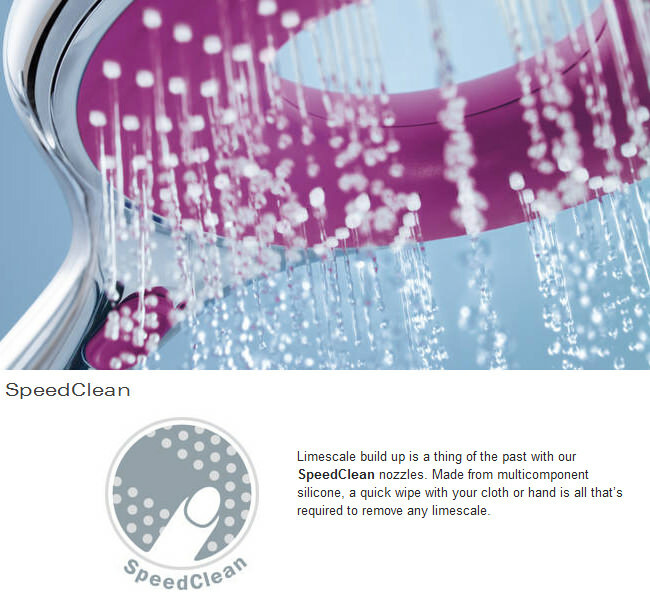 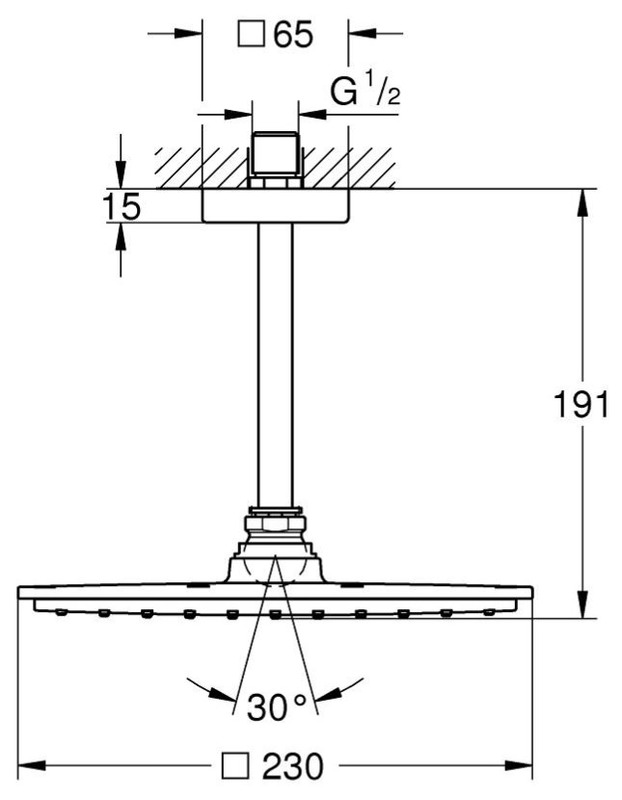 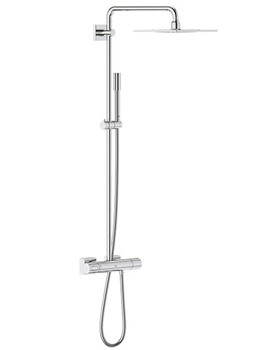 This product comes with a shower head that attaches to a ceiling-mounted shower arm that measures 154 millimetres in height with a baseplate that measures 65 millimetres by 65 millimetres. 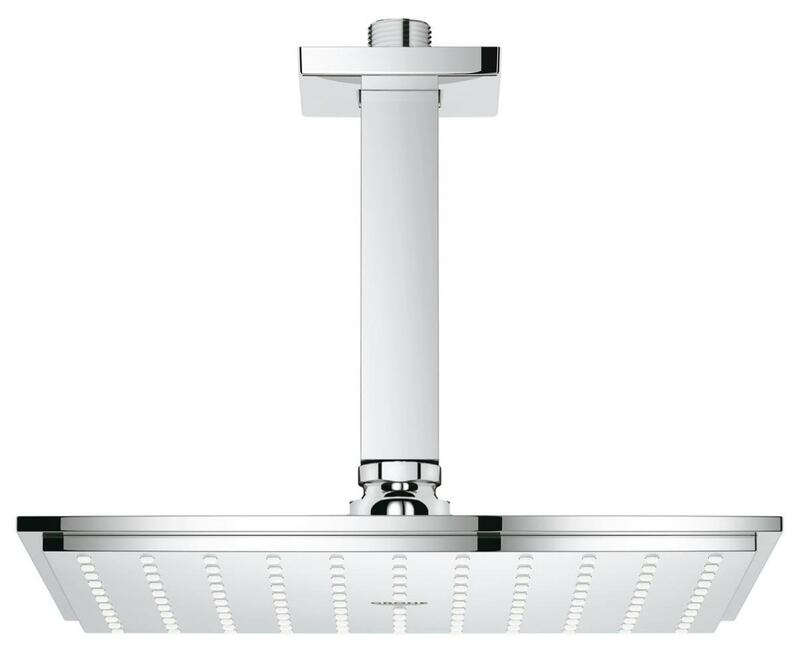 The top-quality metal, chrome-finished shower head is designed for use with an instantaneous heater and delivers a steady stream of luxurious water. 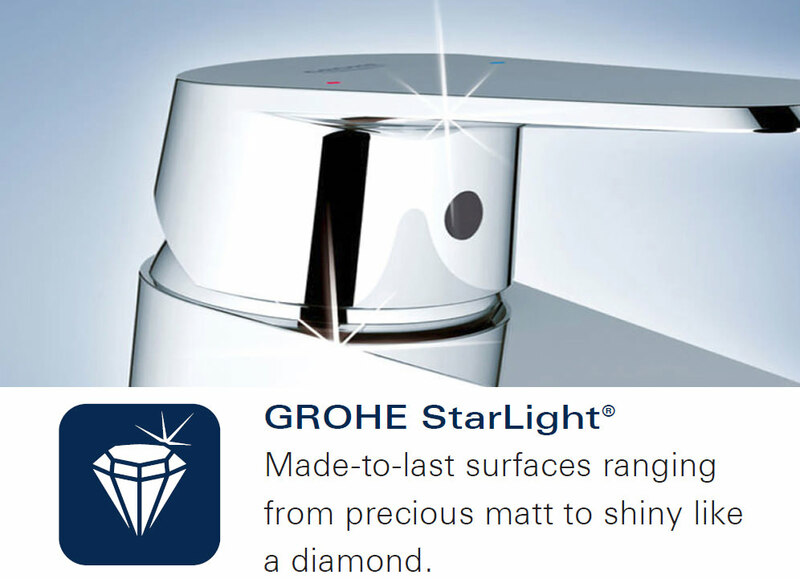 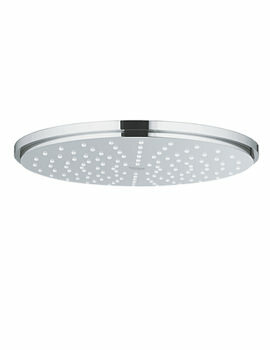 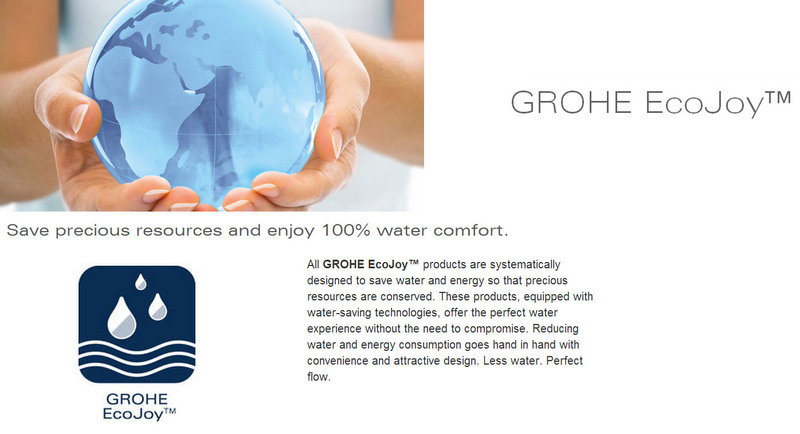 It features several patented Grohe feature for your convenience.